I’ve never liked squirrels; rats cunningly disguising themselves with furry tails and nasty, beady little eyes that follow you everywhere. Flying squirrels would be even more repellent – imagine those little blighters heading towards you at eye level. 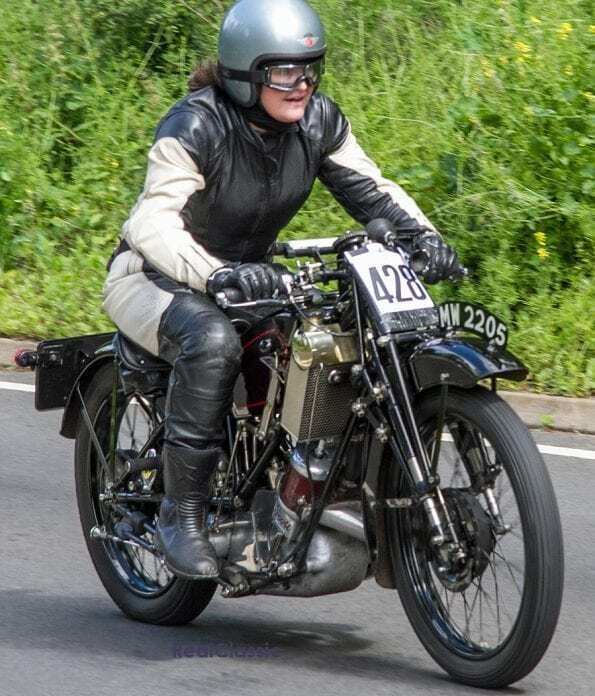 Given this dislike, it is curious that I am fond of Alfred Angas Scott’s eponymous motorcycles – although if you have seen one swooping up Sunrising Hill at full chat on the Banbury Run then you may have some sympathy with me. 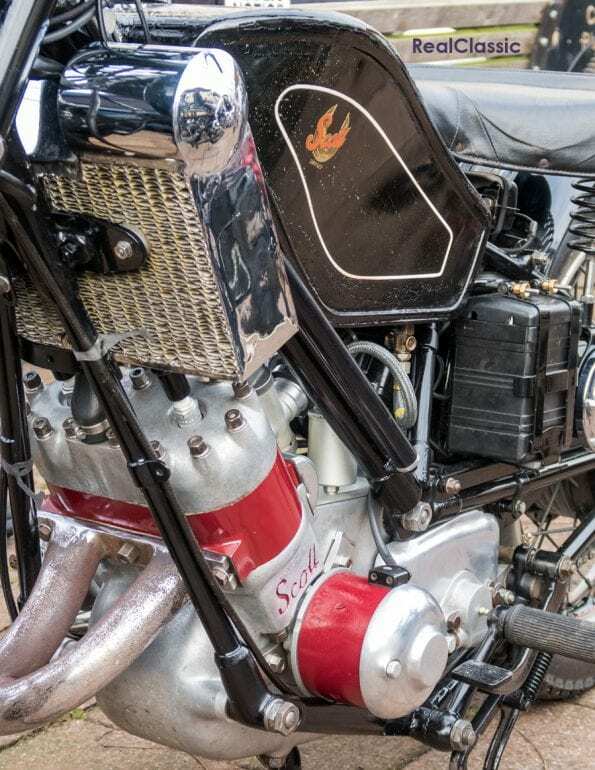 By 1908 the engine was a 333cc unit with the cylinders cooled by air flow but with water cooling to the heads. By 1911 the engine had increased to 486cc and was fully water-cooled. Induction was controlled by a rotary valve and manufacture was undertaken at Scott’s own works in Shipley. 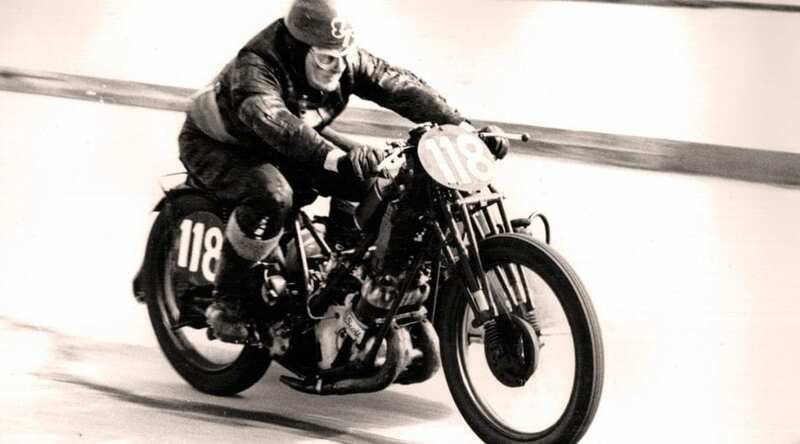 The following year a Scott won the Senior race at the TT and set the fastest lap, winning again in 1913. 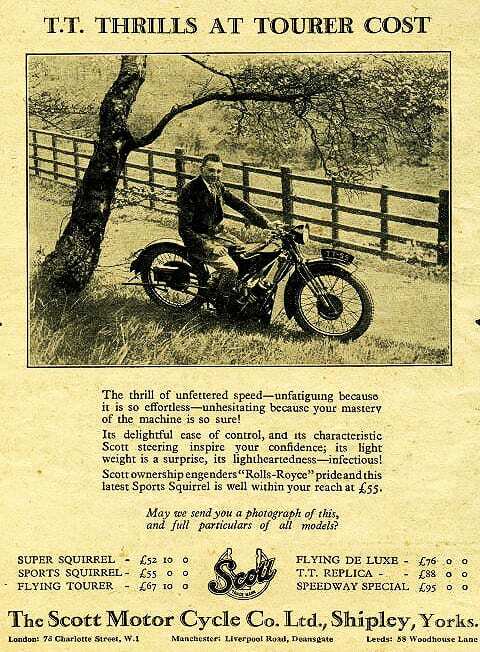 Further innovations followed with the first 489cc, two-speed Squirrel appearing in 1922, and the Flying Squirrels appearing four years later. 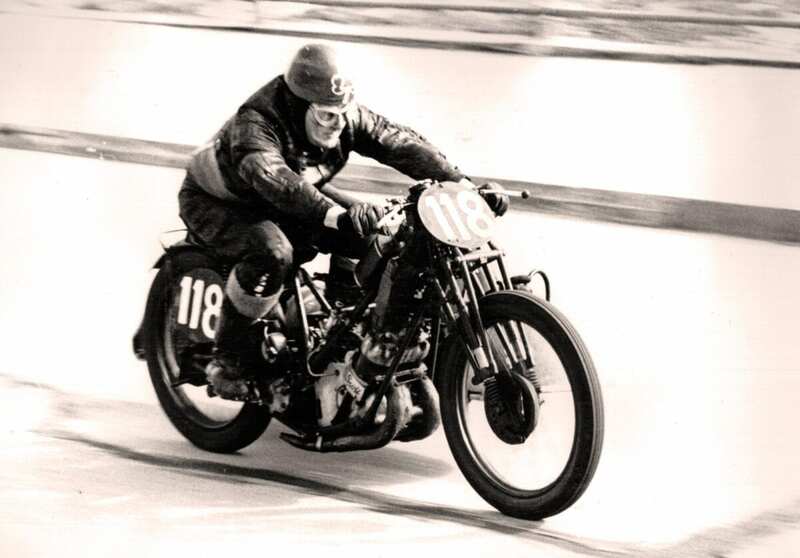 ‘Scott produced some of the most distinctive and esteemed motorcycles of the age,’ says Cyril Ayton. Further innovation was needed to keep things on the boil but Scott died in 1923. 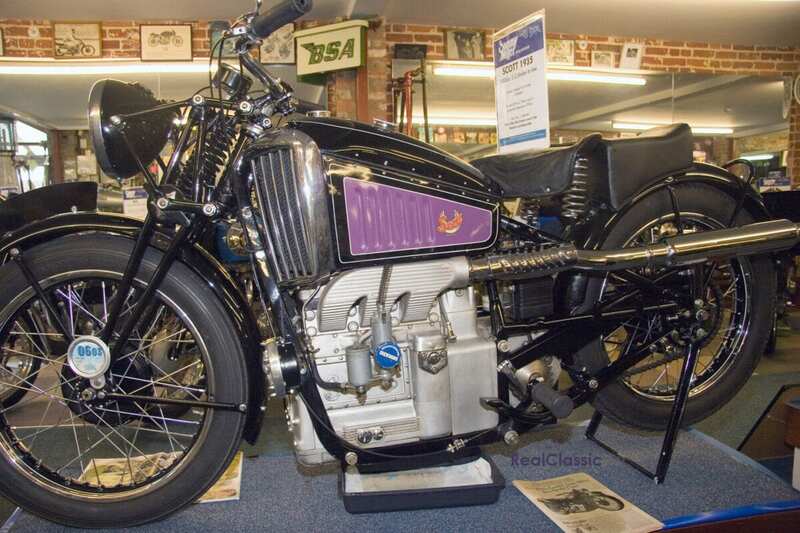 Thereafter, an inline three-cylinder machine appeared in the mid-1930s, of which few were built. 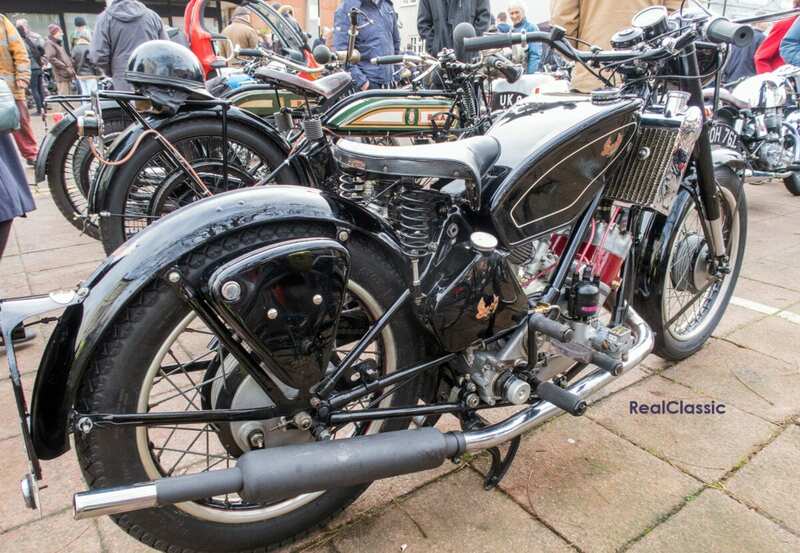 By 1928, the three-speed 498cc Scott cost £93 – when a four-speed four-stroke Rudge 500 was just £46. 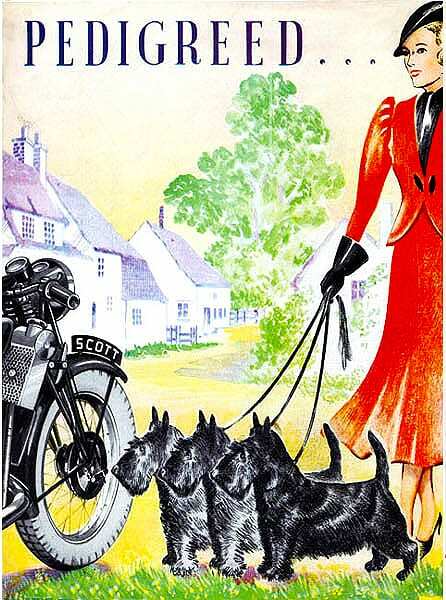 Voluntary liquidation led to Scott being sold and relocated to Birmingham after WW2. Production of bespoke bikes to customer order continued, inspiring George Silk’s Special of the 1970s. 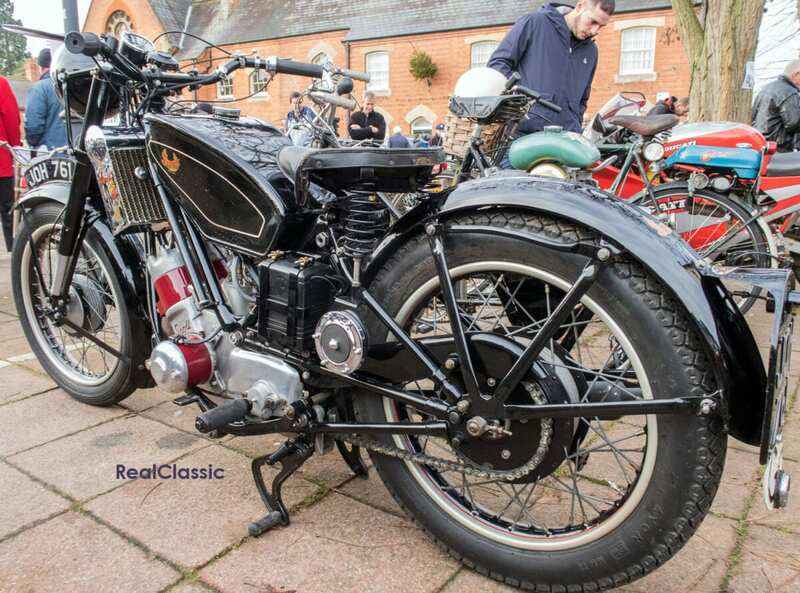 This example was ridden to the Classic Stony gathering on New Year’s Day and dates from 1949. 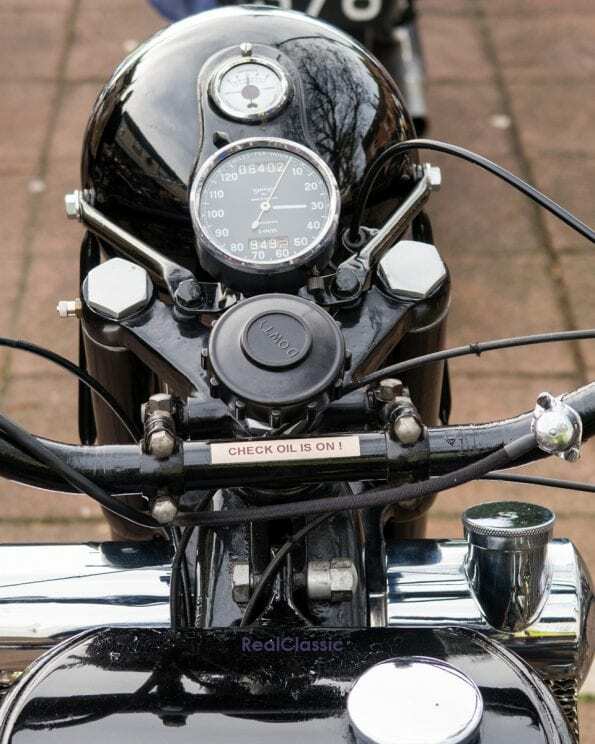 It is, I believe, a 596cc Flying Squirrel with a rigid rear end and Dowty telescopic forks at the front, a dual front brake and full width rear brake, a roll-on centrestand and coil ignition with a distributor on the right. It’s a handsome machine which deserved a much better future than it received. 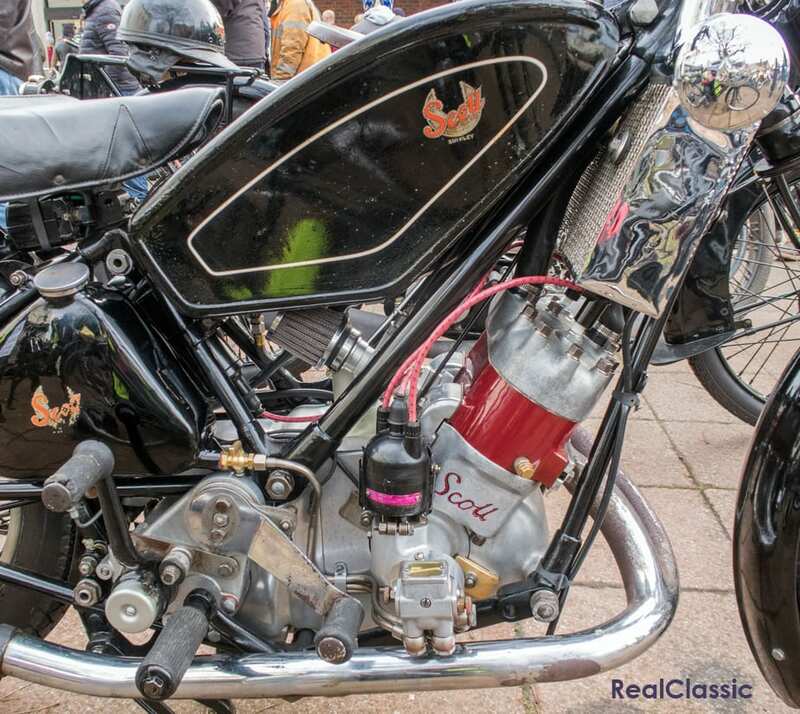 It took another 30 years for Yamaha to introduce it’s water-cooled two-stroke range with much success; more investment and foresight could have seen Scott beat them to it and still be around today… but such is life. I blame the squirrels.